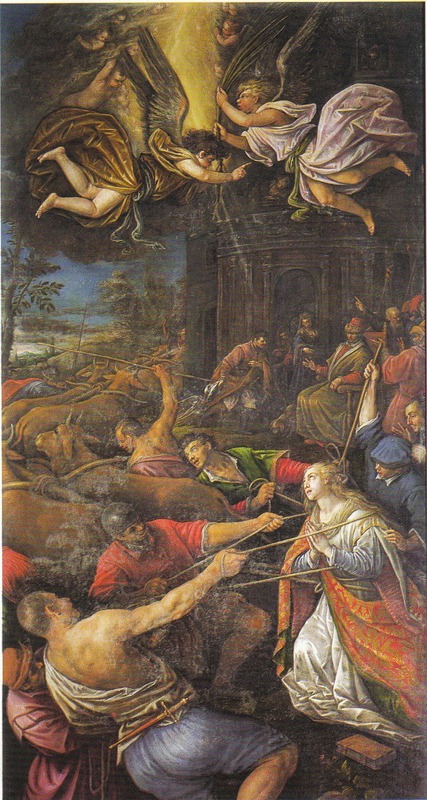 Leandro Bassano, using Florentine lakes. 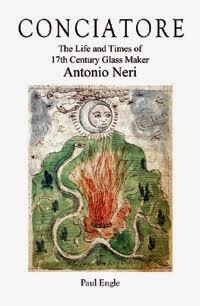 In the final part of Antonio Neri's 1612 book on glassmaking,  he presents several recipes that are devoted to pigments for painting. His intention for including them is for their application on glass objects, but these were the same materials used in general by fine artists in the early seventeenth century. A Way to Extract the Lake  and Color for Painting, from Orange Blossoms, Red Poppies, Blue Irises, Ordinary Violets, Red Violets, Carnations, Red Roses, Borage Flowers, Day Lilies, Irises, and From Flowers of Any Desired Color and the Greens of the Mallow, the Pimpernel and All the Plants. Take whichever flower you want, of any color you want, or even a [green] plant. If it will rub green from a leaf onto white paper staining it with color, then it will be good. The plants and flowers that do not show this effect are no-good. Put ordinary aqua vitae into a glass urinal, with a cappello [alembic cap] for its cover, making sure the said crystallo cap is as wide as possible. Into this cap, pack the leaves [or petals] of any flower or plant from which you want to release and extract the tincture. Now lute the mouth joint of the cap. Fit a receiver to its snout and lute that joint. Give it a moderated fire so that the volatile part [alcohol] of the aqua vitae rises into the alembic, and falls down into its volume upon the petals of the flowers, extracting the tincture. In time, drops will run down the snout of the cap into the receiver, colored and charged with the tincture. Once all of the volatile part of the aqua vitae passes and becomes colored, distill this colored volatile part of the aqua vitae in a glass vessel. [The alcohol] will pass white and will be useable three more times. The dye will remain in the bottom, which you should not allow to dry too much, but just moderately. Then you will have the very best tincture or lake for painting from an abundance of flowers and plants. The "aqua vitae" he refers to is simply a distilled alcohol such as grappa. The important point here is that it is a potent solution of ethanol and water; a well-known modern equivalent would be vodka. The chemical apparatus he describes is about as simple as it got for alchemists. It has three parts; the first is a base consisting of (in this case) a urinal—an inexpensive and convenient glass container with a wide mouth. The second piece is what Neri calls a "cappello"; it is a special glass cap featuring a long tubular snout leading from the top, angled slightly downward. When the cap is affixed to the base with the materials inside and gently heated, vapor will condense in the cap and run down the snout for collection in the third piece, a "receiver" vessel. Today, this painting is known as 'The Miracle of the immobility of Santa Lucia' and is shown at the top of this post. Neri uses the word "lacca," the equivalent of "lacha" in other manuscripts. For a specific reference to Neri in this regard, see Merrifield 1849, v. 1, p. clxxxi. A word to the wise: high proof alcohol in a confined glass container near an open flame is a good way to cause a minor explosion and a fireball featuring glass shrapnel. Merrifield 1849, v.1, p. clxxxiii. She references Cicogna 1824–1858, v. 4, p. 349 for this information. * This post first appeared here on 14 Oct 2014.